What if you could transport your family in a vehicle that combined the fuel-efficient performance of a hybrid with the size and functionality of a minivan or crossover? That is exactly what the 2017 Toyota Prius v has to offer. 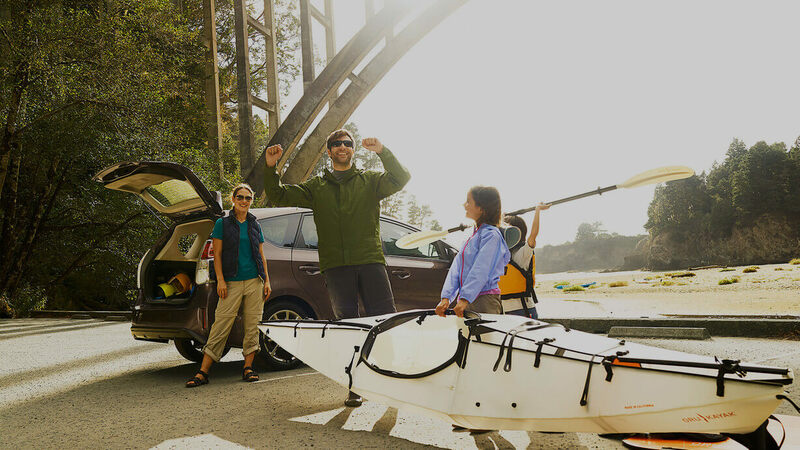 You save a ton on gas every month but still have plenty of room for kids and cargo. Find out what this refreshing option has to offer, and decide if it’s the right next car for your family. After that, head to Toyota of Naperville from your location in Elgin, Elmhurst, Aurora, Schaumburg, or the surrounding area. Considering all that it has to offer, the 2017 Toyota Prius v is accessibly priced at every trim level. Plus, thanks to its efficiency ratings, it has a low cost of ownership. The 2017 Toyota Prius v stands out because of its gas sipping nature, but it also provides drivers with a comfortable and confident experience on both busy city streets and large highways. The vehicle is powered by a combination of a 1.8L four-cylinder and a pair of electric motors that are charged by a lithium-ion battery pack. The gas/electric hybrid engine is paired with an efficient continuously variable transmission (CVT). Energy normally lost during driving is stored in the battery packs to provide maximum efficiency. The 2017 Toyota Prius v has been specifically designed with families in mind. No matter which trim level you select, expect it to come well equipped to help both driver and passengers have an easy, enjoyable trip. Two: Heated mirrors save you time on winter mornings, and keyless ignition and entry make it faster to get going. Meanwhile, Bluetooth phone and audio connectivity let you keep your hands on the wheel, while a 6.1-inch touchscreen gives you all the info you need in an instant. Three: Driver’s seat power lumbar support makes long drives comfortable, a navigation system keeps you from getting lost, smartphone app integration brings your favorite digital tools into the car, and satellite and HD radio expand your options for music and talk significantly. Four: Leatherette upholstery creates an upscale feel, heated seats immediately warm up cold bodies, and an eight-way power driver’s seat helps you find your ideal driving position. Five: The 17-inch alloy wheels on this trim are unmistakably stylish, as are the foglights and automatic LED headlights. 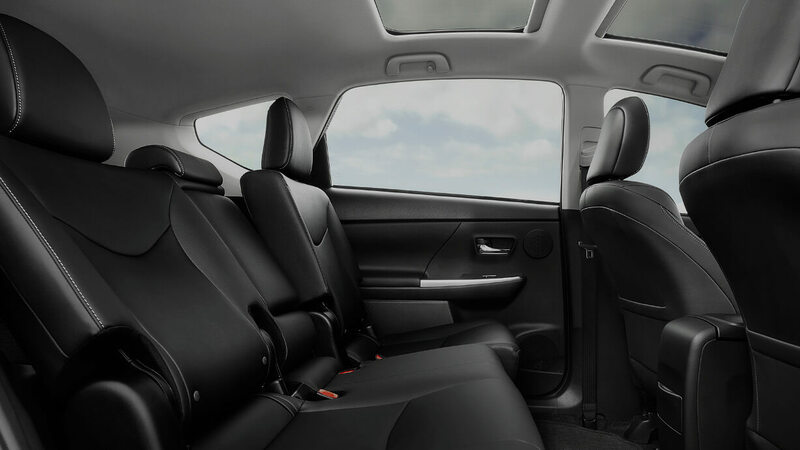 Available features like a panoramic sunroof, an eight-speaker JBL stereo, and an advanced safety suite enhance the Five trim even further. Five adult passengers have plenty of room to spread out in the 131.5 cubic feet of total interior volume. It’s just as easy to accommodate cargo thanks to the ample 34.3 cubic feet of dedicated cargo space, and the 67.3 cubic feet of overall cargo space. The cabin in the 2017 Toyota Prius v is comfortable, convenient, and quite spacious. 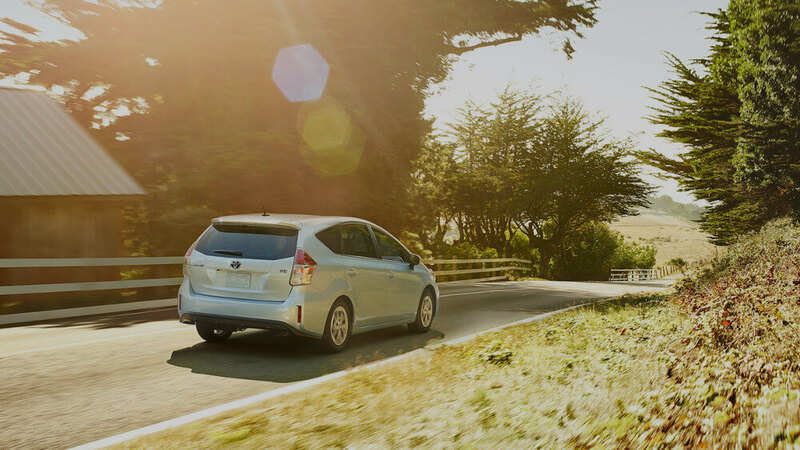 Displays, gauges, and dashboard interfaces are all easy to read and even easier to use, so making the most of your Prius v never proves to be a breeze. The critics have been quick to point out that the 2017 Toyota Prius v is a different and better kind of family vehicle with very few competitors on the market. 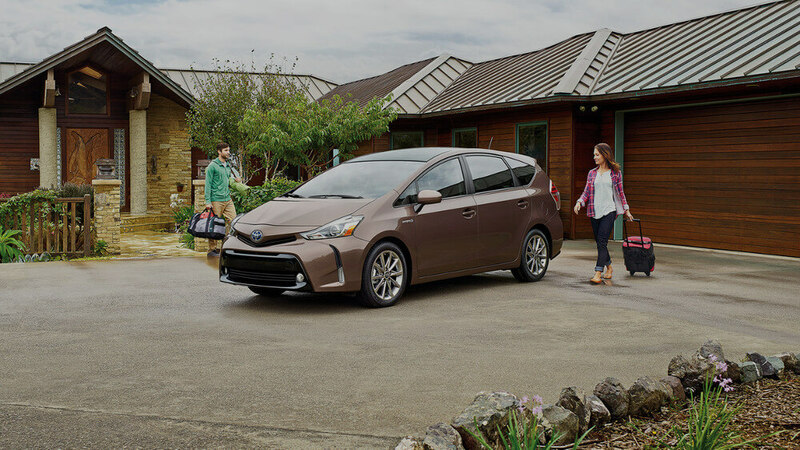 When you’re ready to make family travel fuel-efficient, tour and test drive the 2017 Toyota Prius v at Toyota of Naperville. Our dealership is located at 1488 West Ogden Avenue in Naperville, IL, which is easy to reach from Elgin, Elmhurst, Aurora, or Schaumburg. Look for us just a short drive south of I-88 East and Route 59. If we can answer any questions, please contact us at your convenience. *Manufacturer’s Suggested Retail Price, excludes the Delivery, Processing and Handling Fee of $835 for Cars, $900 for Small/Light Trucks (Sienna, RAV4, Highlander Gas, Highlander HV, 4Runner, Tacoma and Venza), $1195 for Large Trucks (Tundra), and $995 for Large SUVs (Sequoia and Land Cruiser). (Historically, vehicle manufacturers and distributors have charged a separate fee for processing, handling and delivering vehicles to dealerships. Toyota’s charge for these services is called the “Delivery, Processing and Handling Fee” and is based on the value of the processing, handling and delivery services Toyota provides as well as Toyota’s overall pricing structure. Toyota may make a profit on the Delivery, Processing and Handling Fee.) Excludes taxes, license, title and available or regionally required equipment. Actual dealer price will vary. Actual dealer document fee may vary.